Cala Moli is hidden away between Cala Tarida and Cala Vadella on the west coast of Ibiza. A steep winding track leads down to the beach and also provides an amazing view of the area on the way down. 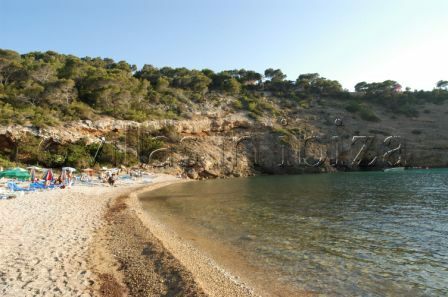 Cala Moli is an ideal place to get away from it all as it is one of the lesser known beaches in the area and is therefore generally fairly quiet. There is a beach bar and you can even get a massage down on the beach.